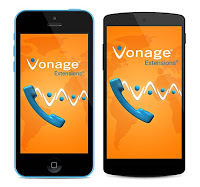 Vonage, a leading provider of cloud-based business communications services that allow businesses to make phone calls over the internet, has announced a significant update to the Vonage Extensions app, ensuring people never miss an important call again and even the smallest of businesses keep their competitive edge. With an existing Vonage call plan the new update enables the nation’s small businesses to direct inbound calls straight to their smartphone via the Vonage Extensions app, as if they were still in the home/office, but with no expensive call forwarding charges. With mobile being an essential tool for making and receiving critical business calls, the app provides all of the benefits of having a Vonage business landline service. One of the most significant is that businesses can choose a local ‘landline’ area code as part of their contact number – instead of what appears to be a mobile contact number or an unfamiliar, foreign area code. This is especially important for businesses to project themselves as a more professional outfit. Specifically, the benefits of businesses having a ‘landline’ number have been highlighted in a new YouGov study. The survey of more than 2,100 people found that nearly two in three Britons (63%) believe that businesses who have a mobile contact number as their main point of contact – rather than a ‘landline’ number – appear unprofessional, with 60% also seeing them as untrustworthy. Keeping professionalism front of mind, calls made from Vonage Extensions will show up on the recipients’ phone with your ‘local’ Vonage business landline number. Also, as the app is reliant on a data connection, people can make and receive calls through Wi-Fi, meaning they won’t be hampered in areas with poor mobile reception, whether they’re working remotely or not. With small businesses no longer needing a second mobile contract, they can still keep their business and personal calls completely separate, removing any call-answering confusion and staying professional in the process. With Vonage Extensions, inbound calls on a users’ existing Vonage call plan automatically direct through the app whereas personal calls (dialled to a customer’s existing mobile number) will direct in the normal fashion, straight to a customers’ smartphone. Vonage is a leading provider of communications services, allowing people to make phone calls over the internet. Vonage focuses on low cost, high functionality communication solutions. Their unique, award-winning technology serves over 2 million customers and is continually evolving to offer new solutions to modern business needs. Vonage provide feature rich, affordable and flexible solutions worldwide and focus on making communicating easy, enabling businesses to thrive. Vonage Holdings Corp. is headquartered in Holmdel, New Jersey, with Vonage UK's head office is in London. Vonage® is a registered trademark of Vonage Marketing LLC, owned by Vonage America Inc. Vonage's shares are listed on the New York Stock Exchange and our customers use Vonage all over the world. 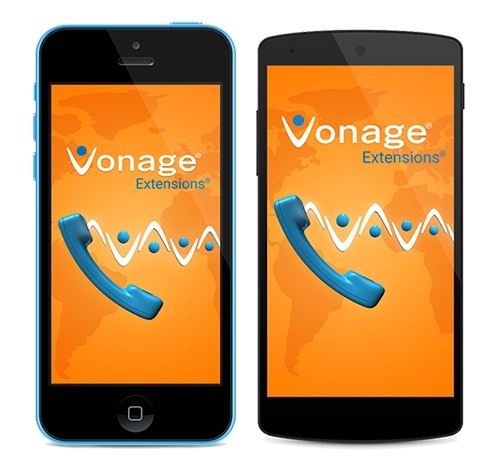 0 comments on "Vonage Extensions App Update Means Businesses Never Miss An Important Call Again"